Pete the Cat has woken up grumpy today! Nothing seems to be going his way. 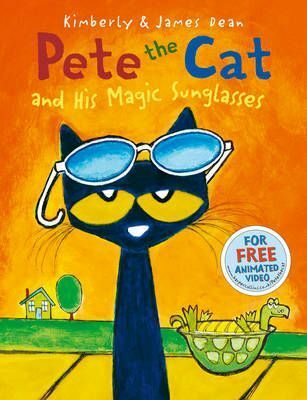 But maybe some groovy magic sunglasses can help...Pete the Cat has woken up feeling blue - and he just doesn't know what to do! But when Pete is given some groovy, magic sunglasses, he finds out that maybe, just maybe, feeling blue isn't something you have to do. Spread the good mood with Pete and his friends in the rockin' adventure all about seeing the bright side of every day!